Markets Today: Who Let The Dogs Out? Not a huge amount to say about Friday’s offshore markets (unlike Saturday night’s AFL preliminary final), characterised by a give-back of some of the post-FOMC stock market euphoria, fractionally lower US bonds yields and a slightly stronger dollar. Not a huge amount to say about Friday’s offshore markets (unlike Saturday night’s AFL preliminary final), characterised by a give-back of some of the post-FOMC stock market euphoria, fractionally lower US bonds yields and a slightly stronger dollar. The biggest news was that Saudi Arabia and Iran failed to reach any agreement after two days of talks in Vienna whereby Saudi might agree to cut production if Iran agreed to freeze its output at current levels. This week’s meeting of OPEC ministers in Algiers now looks like it will be a non-event. Oil lost the best part of $2. Fed dissenter Eric Rosengren publicly justified his opposition to Wednesday’s FOMC decision to stand pat, in terms of maintaining the longevity of the recovery. The Markit US manufacturing PMI was on the soft side (51.4 down from 52.0) but less important than the ISM version (not due for another week) while Canadian data on both retail sales and CPI was unexpectedly weak and the CAD suffered accordingly alongside lower oil prices. In stocks, the S&P500 ended Friday night 0.57% lower at 2164.7 (a gain of 1.2% on the week), the Dow -0.7% and the NASDAQ -0.6%. The VIX rose by 0.27 to 12.29 but is down 3 points or 20% on the week. Earlier the Eurostoxx 50 lost 0.6% and the German Dax 0.4%. In rates we saw mild bullish U.S. curve steepening, 2s -1.6bps to 0.756% (-0.8bps on the week), 5s -0.8bp to 1.157% (-4.2bps on the week), 10s unchanged at 1.619% (-7.4bps on the week) and the 30-year +1.2bps t 2.348%. 10yr Bunds gained 1.4bps to -0.082% and 10 year gilts +2.3bps. In FX, the US dollar was generally a touch firmer, DXY ending NY up just 0.03% at 95.477 (a fall of 0.7% on the week) and the broader BBDXY +0.27% (-0.6% on the week). The ADXY Asia FX index fell -0.1%. USD/MXN added 0.9% to 19.79 but still closed beneath Wednesday’s high of 19.91. In G10, CAD was the biggest loser (-1.0%) after August data showed back-to-back falls in both retail sales (-0.1%) and CPI (-0.2%). NZD was very close behind, USD/NZD -0.97% to 0.7242, seemingly still suffering from last Thursday’s RBNZ re-iteration of a very strong easing bias. AUD/USD lost only 0.26% to end the week at 0.7623 for a weekly gain of 1.8 %. ( the second best G20 performer after NOK). In commodities, oil was down $1.80 for both WTI and Brent on the Saudi/Iran news, to $44.48 and $45.89 respectively. The LMEX index was off just 0.1% and iron ore +40 cents to 56.79. Gold lost $3 to $1338. With the Fed out of the way, and not now in play until December with the FOMC next meet on November 2, 6 days before the US election, it is the latter that should now dominate market psychology for the next six weeks. Post-Fed, we’ve seen market volatility/risk aversion fall-back sharply. The first of the televised debate between Trump and Clinton on Monday night and how that impacts their poll standings will be of keen interest. According to the RealClear Politics website, ahead of the weekend, Clinton was leading Trump by just 2.6 points (see Chart of the Day). The informal gathering of OPEC ministers in Algiers is of interest but with a production looking highly unlikely. Data wise it’s not a big week. The U.S. has Consumer Confidence on Tuesday (will it mimic the mediocre University of Michigan preliminary report?) durable goods orders on Wednesday and personal income, spending and the deflator on Friday (the latter is unlikely to mimic the jump in CPI given a very different methodology for calculating health care costs, the main source of the jump in the latter in August). There are plenty of speakers – most of who will probably tell us we really really might raise rates before the year is out. China has the Caixin manufacturing PMI on Friday with official services and manufacturing readings on Saturday. Japan has its end of month data fest, and where CPI on Friday will be the highlight. Australia has nothing of note, just the monthly (August) credit data on Friday. On global stock markets, the S&P 500 was +0.07%. Bond markets saw US 10-years +0.01bp to 1.62%. In commodities, Brent crude oil -2.01% to $45.89, gold+0.8% to $1,338, iron ore +1.6% to $56.79. AUD is at 0.7622 and the range since Friday 5pm Sydney time is 0.7612 to 0.7646. 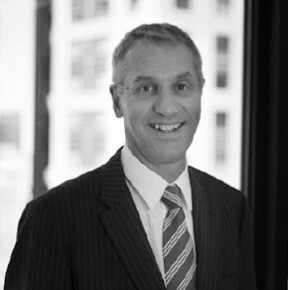 Ray Attrill is Head of FX Strategy within the Fixed income, Currencies and Commodities division of National Australia Bank. In this role, he advises the bank’s dealing rooms and institutional and corporate clients on developments in global foreign exchange markets. Ray has 30 years experience as an economist and market strategist, obtained in roles working in London, Sydney and New York. Prior to joining NAB in 2012, he held a similar role at BNP Paribas, based in New York. He previously amassed considerable experience in research and strategy, being a joint founding partner for 4CAST limited, a leading independent economic and financial market research company. Prior to that, he worked for many years in senior roles at MMS International, also a leading on-line market research provider. He holds both Master and Bachelor of Science degrees in economics from the London School of Economics. Join NAB’s Head of FX Strategy, Ray Attrill as he sits down with Phil Dobbie to discuss the recent release of NAB’s updated FX forecasts. The OECD suggests China’s stimulus measures may only offer short term benefits but the markets are happy to ignore the long term impacts.